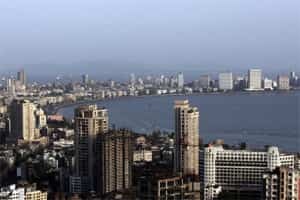 Mumbai: The Maharashtra government has decided to invest $60 billion over the next 20 years to build infrastructure and modernise the country’s overcrowded financial capital, a top state official said on Thursday. The investment, to be part-funded through public-private partnerships, is expected to boost the city’s housing, transport, power and tourism industries, among others, said Ratnakar Gaikwad, chief secretary of Maharashtra. According to the latest census data released by the government of India this year, the population of Mumbai is more than 12 million. Due to lack of space, it is also one of the world’s most densely populated cities, estimated to have 20,482 people per square kilometre. Mumbai, which houses Bollywood, also routinely suffers from congestion on roads and airports, power cuts and water shortages. Gaikwad said the state has already lined up funds worth Rs43,000 crore ($8.6 billion) for the first phase of the project till 2016, and part of it will be used to improve the city’s rail transport system. He said 40% of the $60 billion would be raised through public-private partnership models and the rest through government agencies. The Maharashtra state government has attracted investment from 40 global corporates, including General Electric, L’Oreal, LG Corp and Beiqi Foton Motor, said Prithviraj Chavan, Maharashtra’s chief minister. Chavan said eight agreements have already been signed and 32 more are in the pipeline.